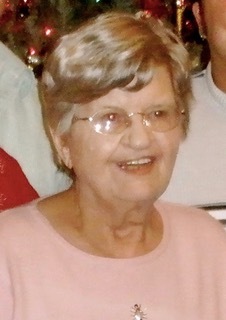 Ms. Mary Nell (Brown) Ramsey, age 89, passed away peacefully on April 1, 2019, at Grace Woodlands Memory Care in Eau Claire, Wisconsin. Ms. Ramsey was born February 6, 1930, in Olustee, Florida to the late Evander and Nellie (Williams) Brown. She was a resident of Jacksonville and Gainesville, Florida, before moving to Mondovi, Wisconsin. She retired from General Electric. Ms. Ramsey was a member of the Friendship Baptist Church in Mondovi, WI. She enjoyed her flowers, music and family, especially her grandchildren; always making them a tin of cookies. She was preceded in death by her parents; husband, Clifton Edward Ramsey; granddaughter, Carrie Ramsey; brothers, Jesse and Robert and sister Shirley Kite. Ms. Ramsey is survived by her children, Michael (Ann) Ramsey, Eau Claire, WI, Terri (Wayne) Curtis, Mondovi, WI, and Vann (Julie) Ramsey, Gainesville, FL; grandchildren, Shelly (Michael) McCauley, Sean Crews, Russell (Tracee) Wilkerson, Glen (Lauren) Curtis, Andrew Curtis, Ashley (Brian) Rhoden, Jonathan Ramsey, Savannah Ramsey; 14 great-grandchildren and numerous extended family also survive.